When you think about deforestation, Cheetos probably don't come to mind as a culprit. Yet the neon orange snack food has infuriated an activist group that wants to save the rainforests. SumOfUs, an online consumer advocacy group, launched a campaign against Cheetos saying that its palm oil policy doesn't go far enough to ensure that it is deforestation-free. Palm oil has been a problematic ingredient, because it is often obtained by clearing rainforests, according to the World Wildlife Federation. That has threatened the habitats of many endangered species, including elephants, orangutans, rhinoceroses and tigers. Cheetos maker Frito-Lay, a subsidiary of PepsiCo (PEP), has committed to using sustainable palm oil that is grown on plantations -- not in rainforests. But that pledge doesn't take full effect until 2020. Yet SumOfUs has called PepsiCo's commitment "weak," criticizing Pepsi for its lack of enforcement. 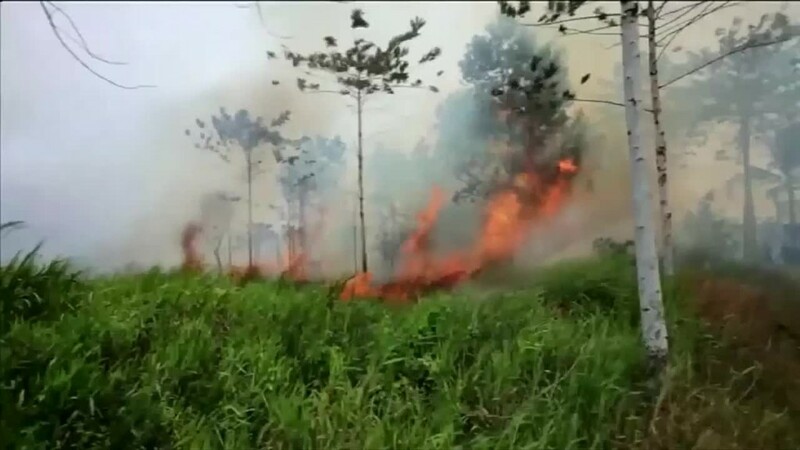 It pointed to PepsiCo's Indonesian palm oil supplier IndoFood, saying that PepsiCo excluded IndoFood in its commitment to go deforestation-free. "PepsiCo's palm oil policy is a step in the right direction, but it doesn't really do enough to prevent deforestation," said Katherine Tu, campaign leader at SumOfUS. She said PepsiCo "controls about 1% of the world's palm oil" and "should be a leader." SumOfUs has launched similar palm oil deforestation campaigns against Kellogg's (K), Krispy Kreme (KKD) and McDonald's (MCD). A spokeswoman for Pepsi denied that IndoFood was excluded from its palm oil pledge. The company says it has begun working with IndoFood to obtain palm oil only from sustainable sources, and it will soon develop an action plan to ensure that it meets its 2020 goal. Not all palm oil watchdogs are upset at PepsiCo. Cheetos were put on the "Orangutan-Friendly Sustainable Palm Oil Treat List" by the Woodland Park Zoo.